ST. GEORGE – The Dixie State Trailblazers had their second consecutive week of no-loss competition as the football, volleyball and men’s and women’s soccer teams went a combined 6-0. For the volleyball and men’s soccer teams, they remain undefeated in conference play and stand atop the PacWest Standings. The women’s soccer team climbed from seventh to third in the standings with its two wins last week. The football team has won back-to-back games to even its record and move to 3-2 in the RMAC, tied for fifth in the standings. Individually, goalie Zach Nielson won freshman of the week in the Pac West. Darian McCloy leads the PacWest in scoring after her hat trick this week gives her nine goals. 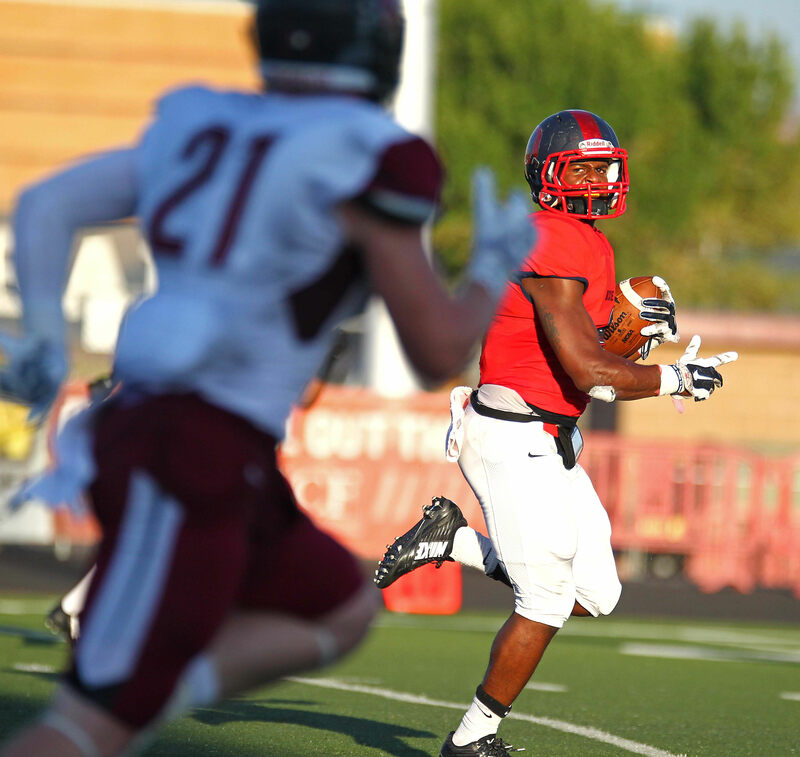 Dixie State racked up 470 yards of total offense, 370 of it coming on the ground, as the Trailblazers spoiled Chadron State’s Homecoming festivities, 44-27, Saturday afternoon in Chadron, Neb. The victory moves DSU to 3-3 overall, 3-2 in Rocky Mountain Athletic Conference play, while the Eagles fell to 1-5, 1-4 in league action. DeJon Coleman finished with a game- and career-high 158 yards rushing on 24 carries, the sixth-highest rushing total in DSU’s NCAA Division II era, while his rushing TD was the 13th of his career, which moved him to within one rushing touchdown of tying the school’s D-II record of 14 set by former DSU quarterback Griff Robles (2012-13). Clifford Simms added 93 yards on the ground on 11 carries to go with his third touchdown of the season, and Orlando Wallace finished with 60 yards rushing and 19 yards receiving. Meanwhile, Dixie State’s 370 rushing yards and five rushing touchdowns were the third-highest single game totals in the program’s NCAA history. DSU also owned a 2-to-1 edge in time of possession as the Trailblazers had the ball for 40:43, to just 19:17 by the Eagles. In addition to DSU’s offensive effort, for the first time this season, the Trailblazers did not commit an offensive turnover, while the Dixie State defense forced two big Eagle miscues, which led to 14 Trailblazer points. DSU’s defense also collected one sack (Keanu Foki) and five tackles for loss. Dixie State will next head to Grand Junction for a matchup with nationally-ranked Colorado Mesa next Saturday, Oct. 15. Dixie State won for the seventh-straight time and remained perfect atop the Pacific West Conference table with a 1-0 road victory over BYU-Hawaii Saturday afternoon in Laie. The match also marked the final time the Trailblazers and Seasiders squared off on the pitch as BYU-H will discontinue its intercollegiate athletic program in the spring of 2017. DSU tallied the lone goal of the match late in the first half when forward Moises Medina secured a rebound off the post, moved past a defender and tucked home his third goal of the season. For Medina, who was named PacWest Freshman of the Week last Monday, it was his third-straight game-winning goal overall. The Trailblazer defense made that goal stand as DSU limited BYU-H to 11 total shots on the day, including just six shots on frame. Zach Nielson recorded his first solo collegiate shutout victory in goal as he made five saves, while the defense picked up a team save in keeping the Seasiders off the scoreboard. On Monday DSU broke open the scoring late in the 22nd-minute when midfielder Gabby Medina netted his team-leading fourth goal of the year on a straight-away blast from 25-yards out to put the Trailblazers up 1-0. 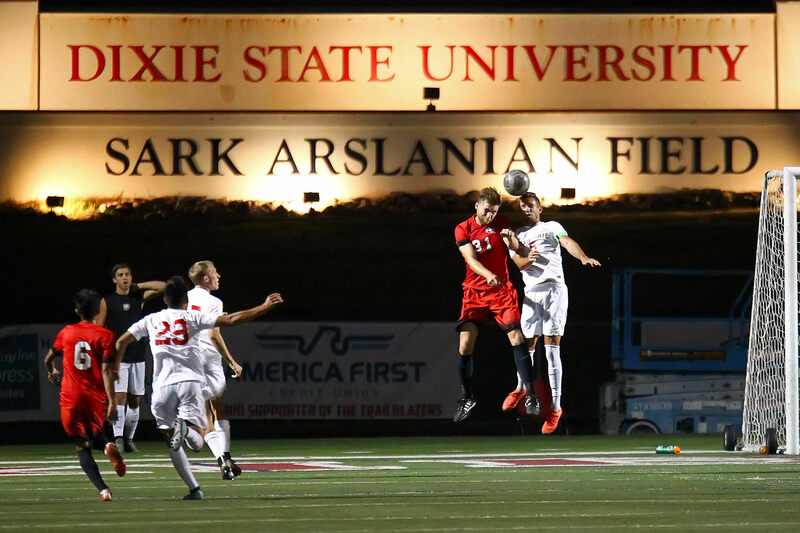 Dixie State would tack on a pair of insurance goals in the second half, the first coming off the boot of midfielder Sean Jenne in the waning seconds of the 53rd-minute. Then 11 minutes later, midfielder Ather Dawood tucked home his third goal of the year to stake DSU to a three-goal cushion. The offensive support was more than enough for the DSU defense, which held the Sharks to just two shots on goal and seven total attempts for the match. Nielson, who earlier in the day was named PacWest Freshman of the Week, stopped the only shot attempt he faced in nearly 67 minutes of action to pick up his third collegiate win, while reserve netminder Eddie Ortiz played a scoreless 23:15 in goal with one save to close out the match. DSU will play match three of its four-match Hawaiian road swing this Thursday at Hawai’i Hilo. 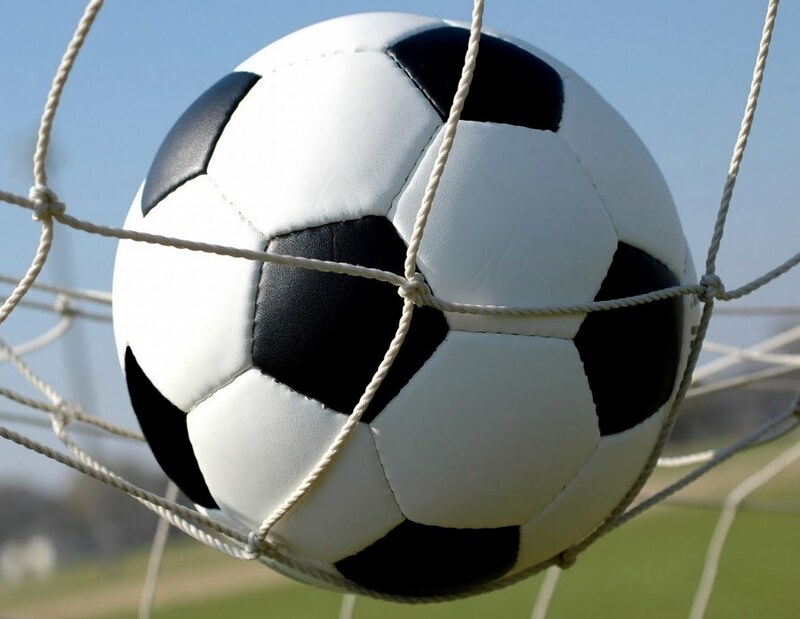 On Saturday, the Trailblazers scored the game’s lone goal just 8:20 into the match when Alexis Torres tucked home a shot past a diving Seasider goalkeeper for her first goal of the year. Meanwhile, the DSU defense played a strong 90 minutes as the unit held BYU-H to just seven shots, two on goal. BYU-H was just as stout on defense as DSU was held to only five total shot attempts – one on frame, but that one shot was the difference in a physical match that featured 38 combined fouls (DSU 21, BYU-H 17), three yellow cards and one red-card ejection. On Monday forward Darian McCloy became the first Trailblazer in two seasons to record a hat trick as Dixie State’s women’s soccer team posted its fourth-straight Pacific West Conference victory with a 4-1 result at Hawai’i Pacific Monday in Waipahu. McCloy had her boot on all four DSU goals on the day, starting in the 28th-minute when she poked away a mishandled save by the Sharks’ goalkeeper and tucked home the first goal of the match. McCloy struck again just over two and a half minutes later as scored off a deflected save on a Kamie Hunterattempt to stake the Trailblazers to a 2-0 lead. In all, Dixie State scored three first half goals in the span of 6:07, with the third tally coming at the 33:41 mark of the match when McCloy played a breakaway ball to Megan Spencer, who fired home a wide-open shot from 20-yards out to give DSU a three-goal cushion. McCloy then notched her third goal of day midway through the 77th-minute when she stole the ball from a Shark defender and blasted home a shot from in front of the HPU frame to extend the DSU lead to 4-0. Hawai’i Pacific got one of the goals back thanks to a converted penalty kick with 7:55 remaining in regulation play, but that would be as close as the Sharks would get as DSU held HPU off the board the rest of the way. Dixie State outshot HPU 24-6 in the match, including a 15-4 edge on goal. McCloy’s hat trick is the 11th in Dixie State’s NCAA Division II era and is the first one recorded since former DSU player Jennifer Mason achieved the feat at Chaminade on Oct. 6, 2014. In addition, McCloy’s seven points in the match tied her for the third-most in DSU’s NCAA era and she is the first player to score at least seven points in a match since Mason did it at Notre Dame de Namur back in the 2012 season. 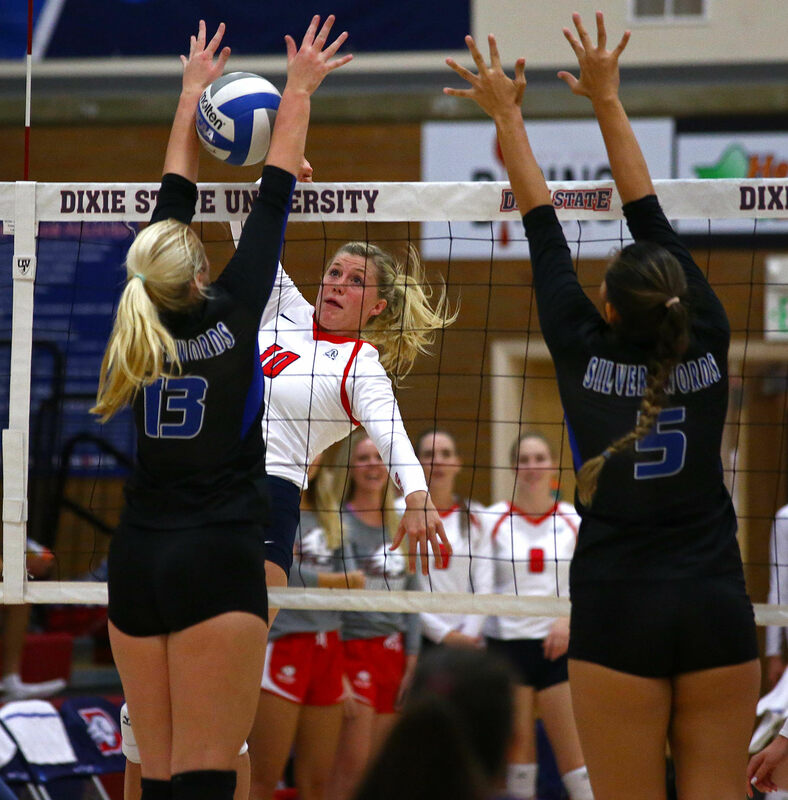 Dixie State pushed its winning streak to nine-straight matches and remained perfect atop Pacific West Conference standings after the Trailblazers swept away Azusa Pacific in three sets Saturday afternoon at the DSU Student Activities Center. The victory was also DSU’s 100th PacWest win (100-59). Dixie State scored seven of the first eight points of the opening set and held a 15-9 lead midway through the stanza. APU would rattle off four-straight points to close the deficit to 15-13, but the Trailblazers responded with a 10-3 spurt to win the set 25-16 to go up 1-0 in the match. APU came out aggressive early in set two and raced to an 11-6 lead and was in the driver’s seat at 18-15. DSU would again put together another run as the Trailblazers scored 10 of the final 13 points of the stanza en route to a 25-21 victory and a commanding two-set lead. Dixie State never trailed in the decisive third stanza and led by as many as nine points late in the frame before closing out the match with a 25-17 set win. Eight of DSU’s 11 players who saw time in the match registered at least one kill, led by outside hitter Delayne Daniel who connected for a match-high 10 kills. Daniel also posted her eighth double-double of the year with a team-high 10 digs. DSU hit .244 in the match, including a .308 clip in set one. Dixie State’s defense held APU to a .090 hitting percentage, thanks to 43 digs and 10 total team blocks. Middle blocker Lindsay Garrett finished with six total blocks (one solo block) to go with five kills, while OH Taylor Duryea had one solo block and four total stops and finished with six kills. Dixie State will now head out on its annual Hawaiian road swing next week, starting with its final road match ever at BYU-Hawaii on Friday, Oct. 14. DSU will also play at Hawai’i Pacific on Saturday, Oct. 15, and at Hawai’i Hilo on Monday, Oct. 17.